Most people these days do not know the importance of air duct and HVAC system cleaning. Studies show that in many cases the dust particles or contaminants in the HVAC system are not harmful enough to produce diseases to the residents. But in certain cases the dust and the pollutants can reach to a level which may be harmful for the people living in the houses or working in the offices. Air duct cleaning is therefore necessary to maintain the safety level of air in the houses and offices. The air in the houses and offices is sometimes dirtier than the air outdoors. This may be due to the certain factors such as smoking, cooking, exhaust gases from various equipments etc. The contaminants in the air generally reside in the ductwork and surplus amount of dust and other particles in the ducts can cause blockage and in some cases be very harmful for human health. Sometimes, harmful chemicals accumulate in the air ducts and can even cause a fire which later results in the whole air duct replacement. 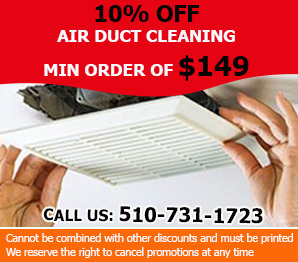 Our goal at Air duct cleaning Castro Valley is to save you people from all such accidents and diseases. We provide solutions as well as awareness to people as to how much the HVAC unit cleaning is necessary for a safe and healthy living. Most people usually ignore this issue and pay a huge price in the end when something bad happens. Our goal is to ensure that nobody ignores the importance of cleaning air ducts and frequently checking the air quality in the homes and offices. Our company has successfully dealt with cases of severely polluted air ducts and HVAC systems. Such cases have now been reduced due to the better awareness of HVAC systems cleaning among the people. We provide all kinds of commercial as well as residential services. We provide cheap and easy air duct installation services in commercial and residential sectors. Our team of highly skilled and dedicated workers makes sure that our customers are completely satisfied with the work. 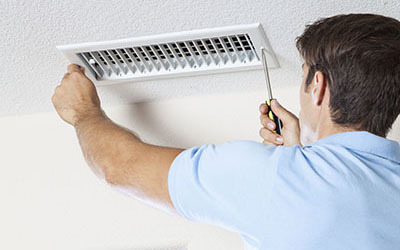 We also provide the service of air duct maintenance when required by our customers. 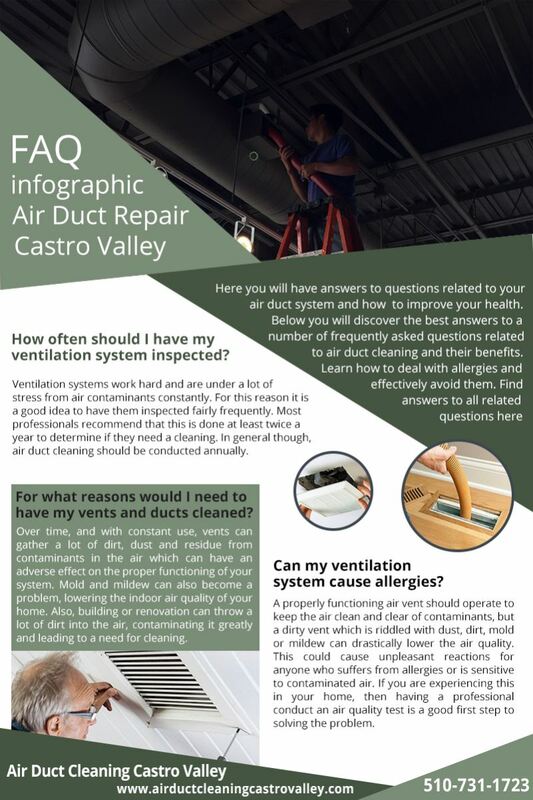 Air duct cleaning Castro Valley has all morden equipment to test the air quality in homes and offices to make sure that people are breathing in clean and healthy air. 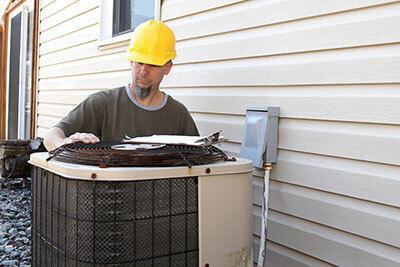 Our team is filled with the zeal to work for the service of people and we are hoping to provide the best possible services to you for your HVAC systems.